When it comes to mowing a lawn, the quality often lies in the finish. This means that once you’ve cut away any overgrowth or uneven patches of grass, you need to ensure that you’re left with a neat and well-maintained surface that does justice to all of your hard work. One of the best ways to achieve this is to use an electric or battery-powered lawn mower, as this is ideal for covering large gardens and creating a precise and even cut in every single corner. 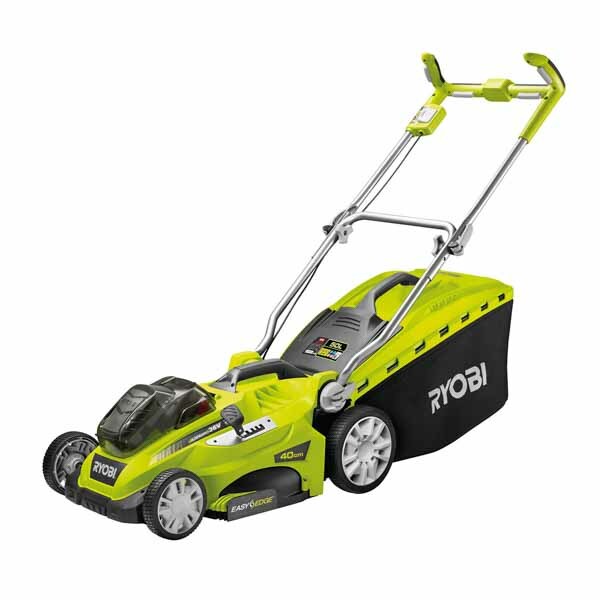 At SGS, we’re proud to offer a diverse range of cordless and electric mowers from some of the world’s most renowned brands including Ryobi, so you’re to find exactly what you need through our website. Our Ryobi lawn mowers head up our cordless range, thanks largely to their flexible ONE+ system that allows several different tools to be used interchangeably with a single battery pack. These lithium-ion batteries are both efficient and long-lasting, while they enable you to switch between a cordless lawn mower and hedge trimmer within a matter of seconds. Our green and accurate cordless mowers do not force you to compromise on power either, so you can effectively mow into the furthermost corners of your lawn and create a cropped garden that wows your neighbours. This should appeal to both amateur and professional gardeners, as it makes it relatively easy to achieve the smooth and even finish that all households crave. 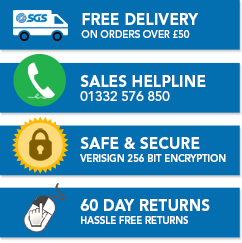 Whether you buy from our cordless range or opt for a corded or hybrid model, each product sold through SGS will come with a two-year standard domestic warranty that’s provided by the manufacturer. We also offer a 60-day no fuss returns policy, so in the unlikely event that you’re not happy with your purchase you can send this back. Do you have a question? Why not run it by our team? When you’re presented with such a high-quality range of electric, cordless and battery-powered mowers, we recognise that it can be hard to make an informed choice. This is especially true if you’re a gardening novice, which is why our informed and experienced experts are waiting to take your call. So why not give us a call today and let us advise you on which lawn mower is best-suited to your needs? Buying a lawnmower represents one of the biggest investments when maintaining your garden. It’s also one of the most widely used tools, so you’ll need to learn how to use this and similar gardening equipment by reading our carefully prepared how-to and buying guides. Before you get to use a chainsaw, you’ll have to set this up and get it started. Learn how to do this by reading this detailed guide. Like lawnmowers, the strimmer is another gardening staple that can complete several different jobs. Here are five to keep in mind. If you want to buy a mower and several other helpful gardening tools, we’d recommend checking out this guide to inform your spending.